Celebrate the start of baseball season by striking a pose in front of the vintage ‘Stros-inspired Houston Astros mural in the Heights. 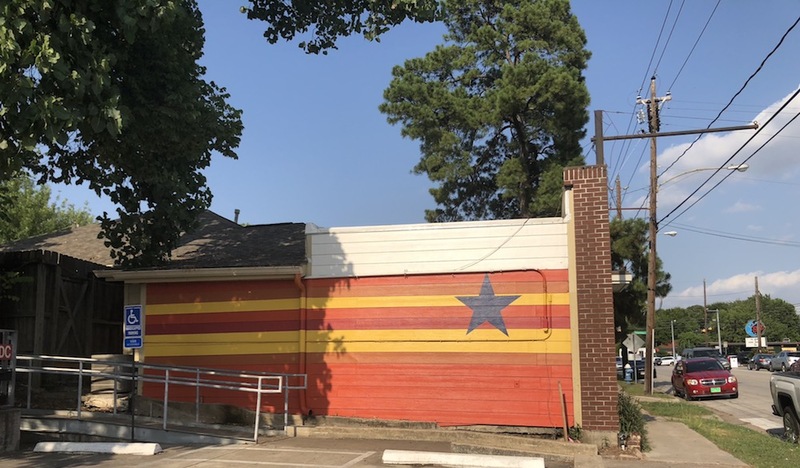 Located on the side of A Peaceful Pet in the Heights, this spirited orange-, red-, yellow-, white-, and blue-rainbowed mural is the perfect spot to stop for a photo in show of support for our hometown heroes. The huge, classic emblem can be spotted easily in front of neighborhood bar Public House Heights off the bustling White Oak Drive, but visitors should note that though the street and lot parking is free, it can be hard to come by in this busy area. Hours: Open daily sunup to sundown. Arguably the best time to photograph the mural is in the early morning when the restaurant is closed.